The Ricoh MP 7503 and MP 6503 make up our team of bulletproof machines. They are multifunction printers which combine incredibly quick black and white printing with advanced usability functions. Printing 65 and 75 pages per minute respectively they are used most commonly by our clients in schools, mail rooms and print rooms. This is combined with extended software capabilities including integration with a range of our workflow enhancing technologies like Streamline NX, GlobalScan NX, and RICOH Scan CX – so your business is always productive and connected. The Ricoh MP 7503 is the biggest of big brothers we tend to sell. This ultra fast multifunction printer is capable of print speeds up to 75 pages per minute, and the 200 pages per minute which it can scan is simply eye watering. With built in user authentication and file encryption as standard every one of your big print jobs is locked down and taken care of. Security codes, key fobs and even finger print authentication mean that even when your in-house printing ramps up, you are still in total economic control. The Ricoh MP 7503 prints 75 pages per minute. 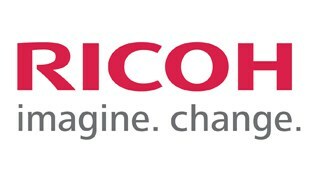 The new Intuitive User Interface of the MP 7503 simplifies operation and Ricoh’s Smart Device Connector app improves mobility by enabling users to interact with the Multifuntion Printer using their smart phones and tablets. The Multifuntial Printer also support use of optional workflow solutions, such as Ricoh’s StreamLine NX and GlobalScan NX.